• Sheer fabric over poseable arms with stripey hats, lace masks, and polka dot bow ties. • Measures 40” high overall. 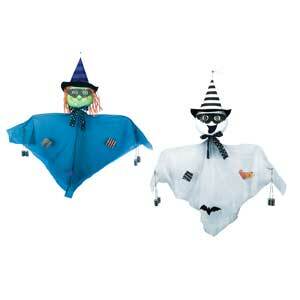 • 2 assorted styles; Witch and Ghost. • 24 per case, $5.00 each.